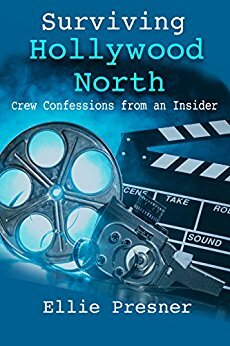 A book launch and signing will take place Saturday, Sept. 23, from 2-4 p.m. at Bonder Bookstore, 52 Westminster in Montreal West for Ellie Presner’s memoir, Surviving Hollywood North: Crew Confessions from an Insider. The book reveals the ups and downs she experienced as a script coordinator in Montreal’s flourishing film business in the ‘90s. She worked on a TV series with Tony Scott, with Patrick McGoohan, chatted with Margot Kidder and John Ritter. Be the first to comment on "An insider’s look at Hollywood North"